Arun is a Principal with Deloitte & Touche LLP based in Silicon Valley, and is a leader in Deloitte’s Cyber Risk practice focused on the Technology and Consumer Business industry sectors. With more than 16 years of business-aligned strategy, design and implementation experience of cyber risk management solutions and technology platforms, Arun helps some of Deloitte’s largest clients be secure, vigilant and resilient. 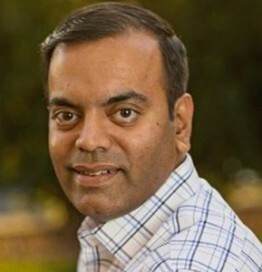 Arun also currently serves in a leadership role at Deloitte driving efforts around the design and development of cyber risk aligned Internet-of-Things (IoT) enterprise and consumer strategies. Arun specializes in the areas of Cyber Risk Strategy and Governance, Emerging Technologies (e.g., IoT), Product and Cloud Security, M&A Cyber Due Diligence and Integration, Supply Chain Risk Management, e-Commerce security and related methodologies. Arun frequently speaks and writes on the above topics and has contributed as a thought leader at venues such as the International Consumer Electronics Show (CES), The Wall Street Journal, The Deloitte Review, and Under the Radar (UTR).